Yesterday evening, our own Sage Lane’s recent article caught me by complete surprise. He wrote a story called “Why Shouldn’t Mario Play with Apple or Android?,” and the piece centered around his rationale for Nintendo’s flawed decision to avoid the smartphone platform. It’s a good feature, and it’s one that echoes some of the opinions that I’ve been reading around blogs, forums and comment sections for at least six months. But it’s also one that I stand squarely against. You know, part of the reason why I find myself so passionately opposed to the notion of Nintendo moving to smartphones is that I absolutely hate what the touchscreen platform would do to their games. Nintendo’s bread and butter, throughout history, lies in their ability to make great platformers. Platformers without tactile controls (you know, physical buttons) never meet the same level of playability that you’d find on a traditional system. I don’t want to see Nintendo on smartphones because I don’t want to see their standard for play quality circle the drain. I hate to turn to schoolyard comebacks so early in my rebuttal, but I feel like the one I’m about to use does my next argument the most justice… To those that keep saying that Nintendo should put their games out on the Android Market or the App Store: you’re just jealous. Why do people keep asking, pleading and arguing for Nintendo to bring their games and properties to mobile platforms? Because they want them there. It’s not something that’s appearing out of hate for Nintendo’s hardware, it’s a motive that comes from a love of Nintendo’s franchises. If Nintendo diversifies their software availability to external hardware, the software will no longer be exclusive to Nintendo as a hardware provider. Right now, if you want to play Mario and Zelda games, you have to buy a Nintendo machine. Their premium content exists only on their premium platforms. If the company has any chance at maintaining their level of success, it will have to stay that way. Which brings me to my next point: why does everyone think Nintendo is doomed? This is the same company that “sold” the Virtual Boy as the next big thing more than 15 years ago. 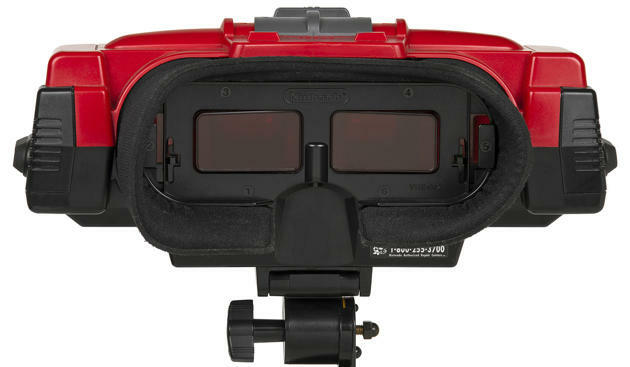 The Virtual Boy tanked extremely hard, and Nintendo found themselves on top of the gaming pile within a decade of its failure once they launched the Wii. 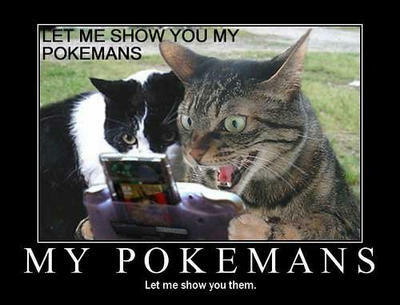 The Nintendo 3DS? Not a failure. Sure, the company really botched the launch with both the price point and the software catalogue; however, these are issues that have already been addressed or are in the process of meeting their resolutions. The 3DS has been at the top Japanese sales charts for the majority of weeks following the price cut. That’s measured success. And before you chime in with, “well, that’s Japan…it has to sell outside of Japan in order to be worthwhile,” look at the PSP. The PSP didn’t do well in the western territories. In Japan? It moved like gangbusters. In fact, I’d argue that the Japanese love of the PSP is the primary reason Sony‘s staying in the handheld game with the PS Vita. Will the Vita sell well in the US? I don’t know, but I hope so. In Japan? Almost definitely. My point here is that Nintendo isn’t going anywhere anytime soon. They’ve posted their first loss in roughly 30 years, but that doesn’t mean they’ve become a corporate Titanic. The company has a veritable war chest of cash at their disposal because of the longterm success the Nintendo DS and Wii both enjoyed. They have the luxury of botching console launches, performing massive price cuts and spending the money necessary to right their ship. They don’t need to put Mario and Link out into the open seas of Angry Birds and Doodle Jumps. I’m sorry, the moment people try to compare the two sets of franchises and mascots is the moment I start to tune out. The Angry Birds series does not have 25 years worth of nostalgia and design working in its favor. Mario? Link? Samus? They do. Nintendo is just fine. Let them build their consoles, handhelds and franchises with their normal penchant for innovation and risk, and we’ll be the benefactors in the long run. Will they catch lightning in a bottle every single time? No. But they don’t need to.